This week I spent 3 days at work at the Farset International Centre on the Springfield Road in Belfast. Wasn’t expecting this view. 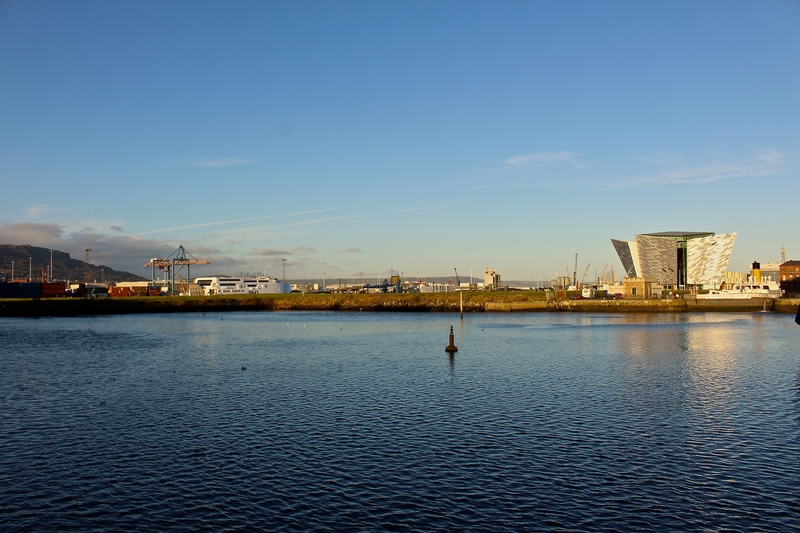 You can see right across the city from large parts of the Belfast Trust to the shipyards. These shots were taken on Thursday from early morning through the day as the skies cleared and the sun broke through. Why are we proud of the Titanic dad? One of my daughters asked me recently – why are we proud of the Titanic, after all it was a disaster. Why then do we draw attention to it? They picked us up and we spent all morning followed by lunch seeing all the usual sights, getting lots of historical interest and seeing parts which most do not get to see. My wife is a pretty experienced blogger and gets these kinds of offers from time to time – the deal of course is that she will blog about her experience. I usually don’t benefit but went along for the ride this time. I am a bit of a history buff and enjoyed the tour. For the really professional perspective go http://www.janmary.com! 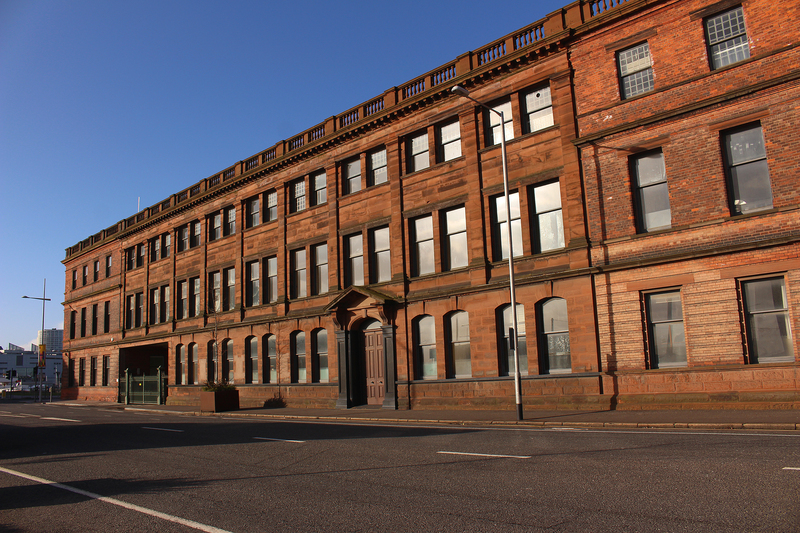 Most people who visit the visitors’ centre which is behind this building will barely notice this red brick victorian facade. 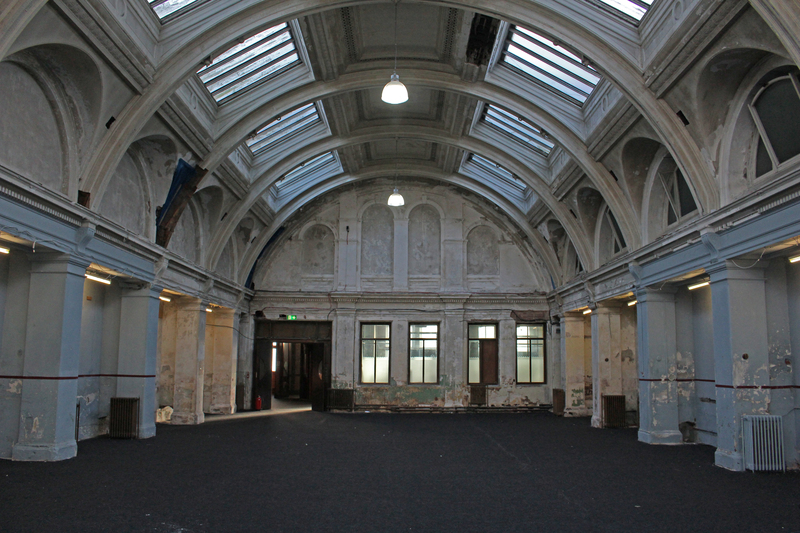 This was the centre of Harland and Wolff and tens of thousands of people would have passed through the wrought iron gates in the picture 6 days a week. The grander door surrounded by marble saw fewer people but apparently some of them very memorable – Kaiser Wilhelm and Jacqueline Onassis (not together) for example. 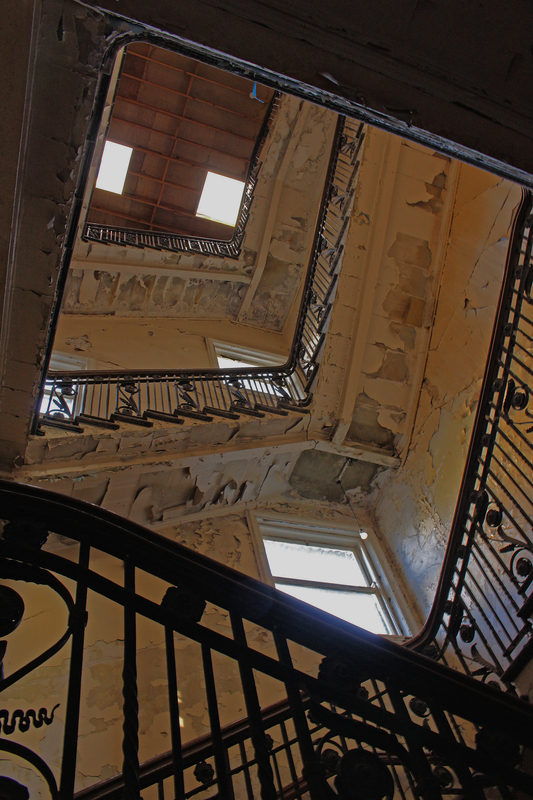 Inside the building is a grand staircase which has seen much better days. This shot however is an example of something you get on a tour like this which you will otherwise miss out on. 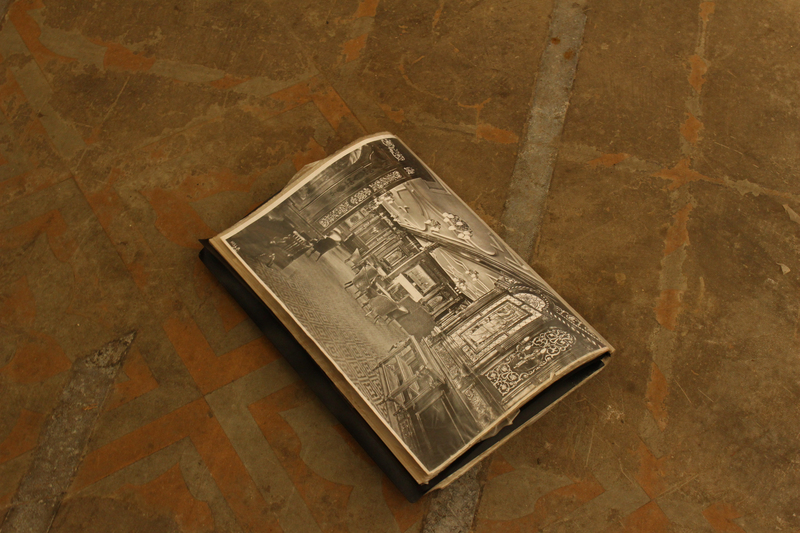 This is a tiled floor in one of the corridors close to the staircase. The black and white picture is of a first class smoking room on board the Titanic. It’s ornate and opulent. The floor of this corridor and this smoking room were tiled with identical tiles. OK, maybe you had to be there but the tiles beneath my feet are the same as those at the bottom of the Atlantic in a wrecked liner. I wonder which are in a better state? 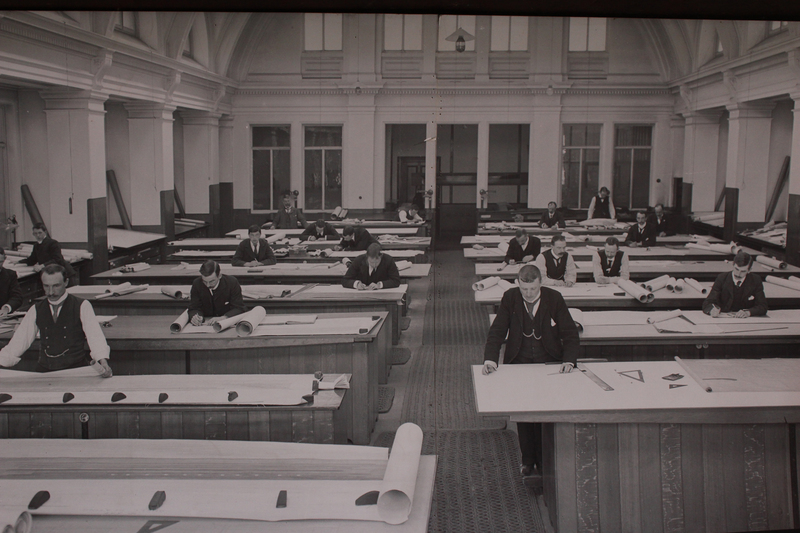 The drawing rooms themselves are worth just standing in imagining the men working away a century ago. and there are pictures around to help you see it as it was. 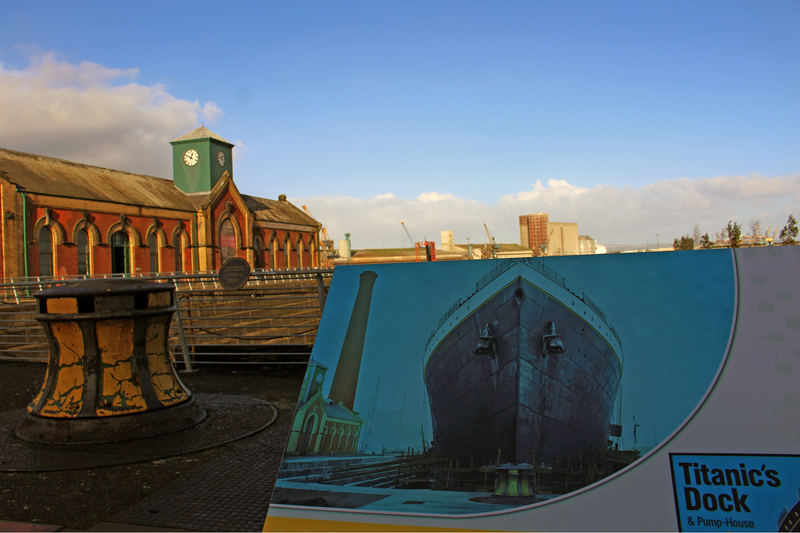 Then we were taken further along the docks to see the Pump house adjacent to the dry dock the Titanic was fitted in. Part of the pump house is a cafe – which was good timing as it was approaching lunch. As this picture shows the hull of the Titanic would have towered above us. The gate at the far end of the dock holds back millions of gallons of water as the floor of the dock is well below sea level. 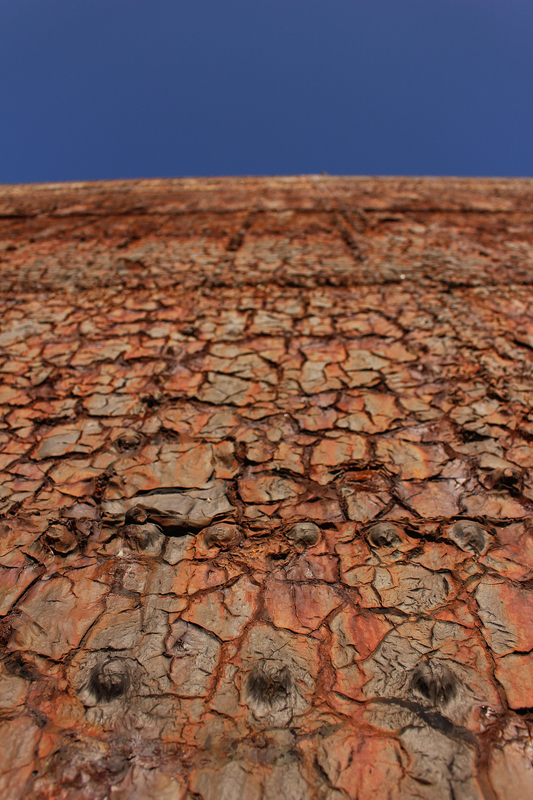 Its red with rust and the rivets whilst very clear look moulded into the structure. You can touch something made by the same Belfast workers at the same time as the ship itself. 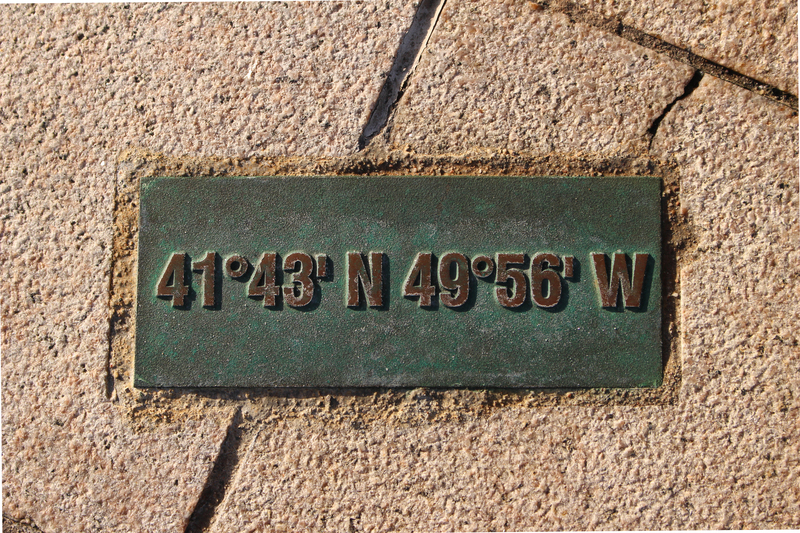 And finally outside the visitors centre is something I have walked over and never noticed before, the exact resting place of the Titanic and the place where more than 1500 people died. Last June I had American friends (Keith and Kimberley) visit and took them to the viewing gallery of the Victoria Square shopping centre in Belfast. This was one of my favourite shots from that day. 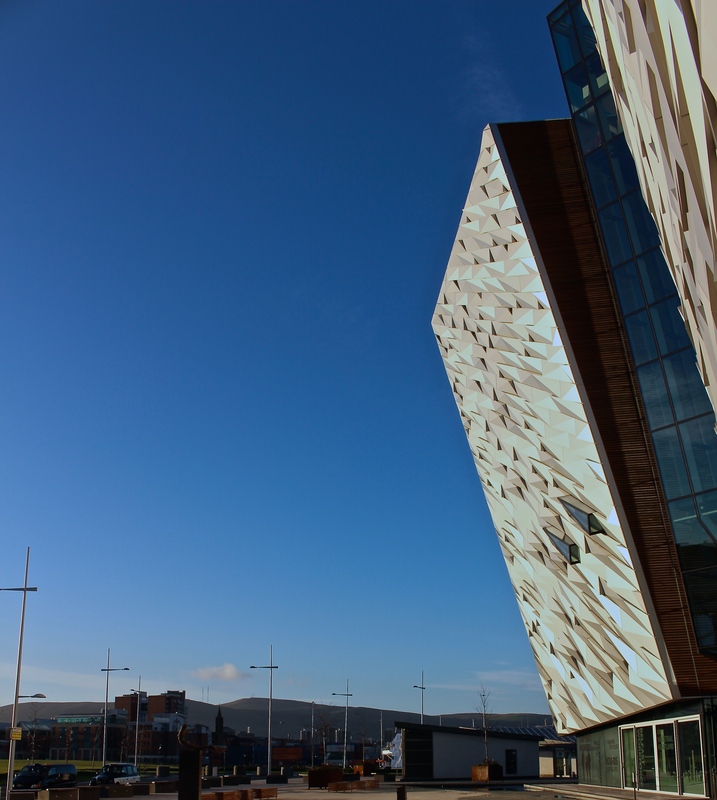 Since then I have been meaning to go down to the Titanic quarter and get different angles of the cranes that seem so much part of the Belfast skyline. Of course they weren’t present when the Titanic was built over 100 years ago. 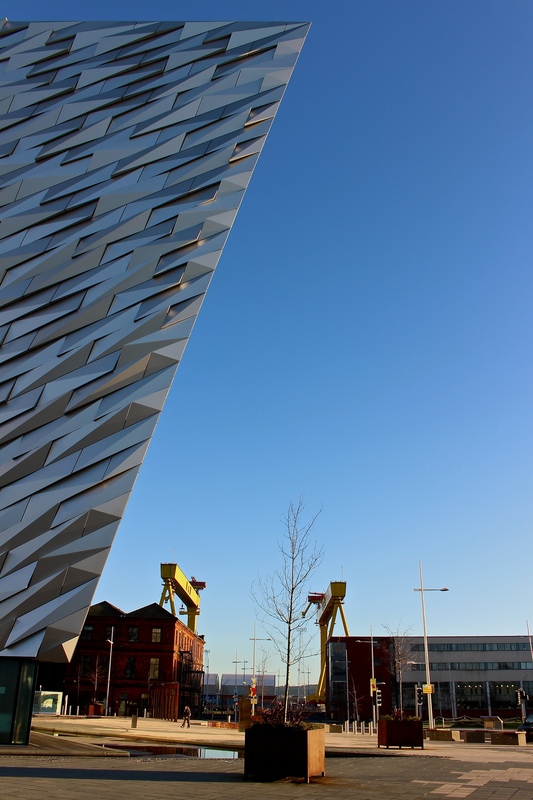 One of the recent additions to the landscape is of course the Titanic museum so I set out to capture both the Harland and Wolff cranes and the height of this modern building. The area is massive and each of these giant structures is just a small part of the landscape. 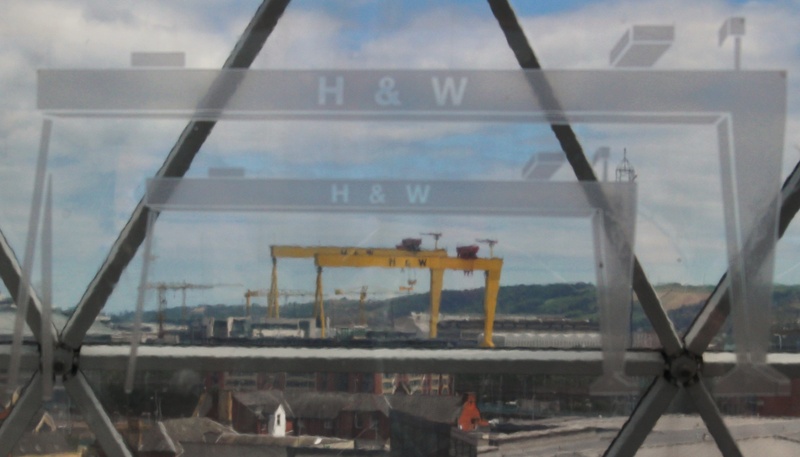 the view is stunning – not least because of the fact that Belfast is nestled between hills – to the north the Antrim plateau (seen in the distance here) towers above the city. 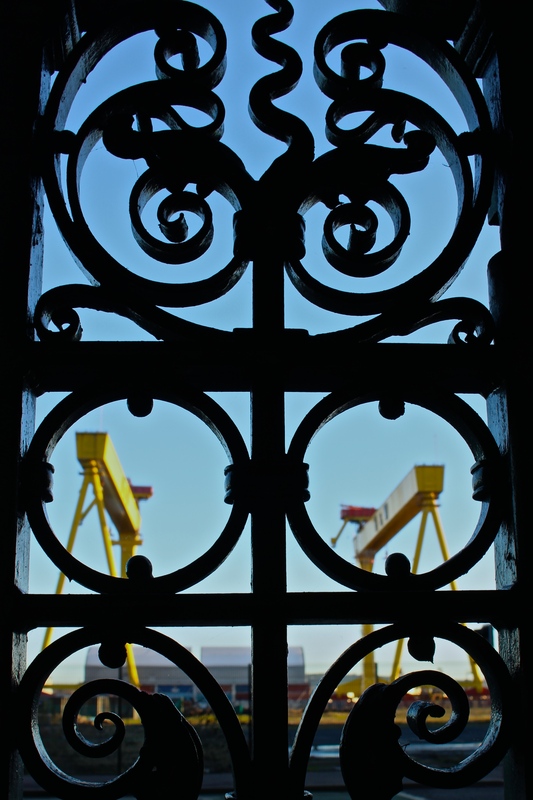 Finally I found something that looks like it dates back before Titanic – these wrought iron gates with a view of the cranes beyond. Yesterday I was showing an American family around some of the sights of Belfast. This was taken from the viewing gallery at Victoria centre. It’s hard to straighten the shot so that both the etching on the glass and the actual cranes look straight.